Welcome to Frank’s Auto Service the premier Walnut Creek Lexus repair facility. Lexus brand is synonymous with “quality”, and quality service and repair experience are what Frank’s Auto Service provides. Our nationally ASE certified technician undergo regular training and are equipped with state-of-the-art tools to work on your Lexus. When you bring your vehicle to us, you will be welcomed by our friendly staff, and your vehicle will be in good hands. Our Walnut Creek Lexus service and repair shop is fully equipped to provide not only routine maintenance but also complex diagnostics and repairs. When you bring your Lexus to Frank’s Auto Service, we not only diagnose and repair the problems that brought your vehicle to us but also provide a complimentary inspection to catch any developing problems. Servicing your Lexus with Frank’s Auto Service fulfills the requirements to maintain original manufacturer warranty. Just as Lexus maintains the reputation for quality, safety, and style, at Frank’s Auto Service we provide quality repairs and a pleasant service environment. As the premier Walnut Creek full service auto repair shop, we provide not only Lexus minor and major services, including 30,000 mile, 60,000 mile and 90,000 mile service, but also a broad range of repairs: brake repair, oil leak repair, shocks and struts, battery replacement, electrical system diagnostics and repairs, cv boot, TPMS sensor replacement, oxygen sensor and other sensor diagnostics and replacement, catalytic converter replacement, fuel pump failure, water pump replacement, timing belt/chain repair or replacement, spark plug replacement, check engine light diagnostics and repairs – and these are just a few of the repairs our shop can provide. We work on all Lexus models, including Lexus ES, IS, GS, LS, RX, GX, CT, LX, and of course, being the Walnut Creek hybrid specialists, we also work on Lexus Hybrids. 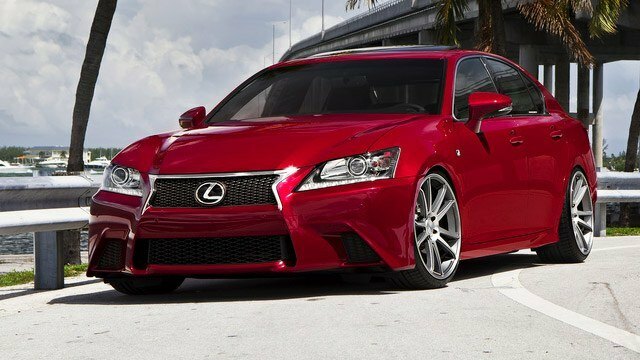 We are looking forward to serving your Lexus repair needs. For your convenience, you may request an appointment online, or simply give us a call.